David D. over at K&L posted some thoughts on his habit of buying and then not opening red wine, and it got me thinking. How does an individual’s drinking habits affect his or her purchase and consumption of good whisky? 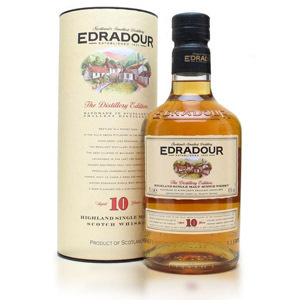 As I have descended into the murky depths of whisky mania, I (like many) have begun to think about specific bottles of whisky based on their own individual merit, rather than from the perspective of what fits into my own personal enjoyment of the spirit. If I see a fantastic price on a bottle, such as the Lagavulin 16 I found the other day at Costco, I’m tempted to buy some based solely on the fact that it’s great whisky at a great price, without stopping to think about how often I’m in the mood for a peated dram. Luckily for me, one of the great things about spirits is that even if I open one of those bottles, it’ll still be good for upwards of a year, thus giving me plenty of time to enjoy it fully without feeling the kind of pressure you get when looking at a half-empty bottle of $30 red wine. This does somewhat alleviate the stresses involved in choosing when to open a given bottle. I’m more likely to crack open a particularly nice bottle, knowing that I’ve got plenty of time to drink it. Remember that often what matters is not the rarity, value, or even specific flavor of a whisky, but rather how well you enjoy it in context. As Anthony Bourdain often says on his show, No Reservations, sometimes the best meal in the world is simple local fare and a cold beer served on a beach while your feet are buried in the sand. I might have a few $80 bottles of excellent whisky on my shelf, but if my evening’s activities call for a smooth-drinking $40 blend like Compass Box’s Great King Street, that becomes the better dram despite its lower “score”. Remember to stock your whisky shelf with your own drinking habits in mind, rather than what someone in a magazine (or on a blog!) tells you is good. Update: David D. has also posted some thoughts on what separates hoarding behavior from appreciation behavior. Another good read. Great post Scotch Noob! I too am a whisky nut and have difficulty staying practical with buying. A couple weeks ago I saw the Buffalo Trace Antique Collection for sale that I could reserve online. Before I knew what was happening I had filled out the form and was one click away from spending more money on whisky I don’t need (I’ve got a several months supply unopened). Somehow I found some self control and stopped myself. But I find these situations happening frequently. 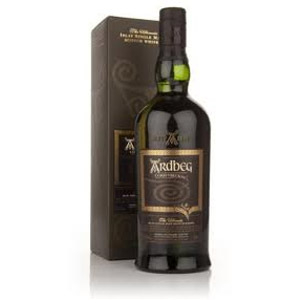 I’ve also nearly special ordered a bottle of Ardbeg Uigeadail on a couple occasions, despite the obvious fact that it has no place in my budget (being around $30/bottle, depending on how much I drink). I have noticed that whenever I can exercise self-control, I end up happier in the long run than when I buy on impulse. 1) I instituted a 3-open-bottle rule: one cheap “weekday bottle” (generally a blend or a cheap bourbon), and two “weekend bottles” that are nicer for when I can sit down and enjoy them. I do not open any bottles until I finish one of the three, despite the fact that I still have many unopened bottles in the cabinet. 2) (still a work in progress) I have a whisky budget that I’ve actually stuck to (although I have spent the next several month’s worth, at least I have the whisky to last me that long). 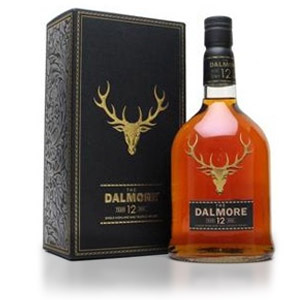 My new rule is that I will not spend future money – only buy when there’s a positive value in the “whisky account.” It’ll take a huge effort to get back to positive – I’ll have to not buy any whisky for the next several months. This will prevent me from splurging on expensive bottles I don’t need. Also appreciate your commentary about “how do you drink it.” Definitely worth thinking about. I have a young son, and I go to be early, and the TV is usually on in the evening, and I don’t really have whisky drinking friends to share with… all meaning that I don’t really sit down and fathom the depths of the whisky’s excellence. So, I don’t think that I would get my money’s worth out of the Uigeadails and other great ones. It’s just so hard when you’re always reading whisky blogs about the amazing whiskies out there. I enjoyed the post! Hope you don’t mind me rambling off my thoughts. 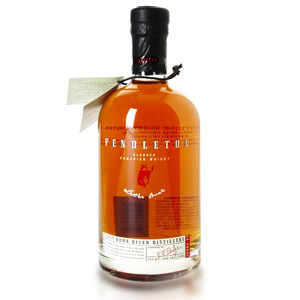 What you have sounds like a good solid plan, and I hope you can keep to it – I think there’s joy to be found in enjoying whisky while sticking to a budget… I certainly believe that a whisky purchased at a good price tastes better than one acquired by ‘stretching’ your means. I used to have a few more open bottles like you, but I found it was more challenging to be disciplined about opening too many. Also, three just makes life a bit simpler for me. Great article, I’ll pass it along to my whisky friends. It’s good to hear from and read about others who struggle with these impulses. I also find myself automatically heading to the register with any antique collection I come across without thinking about whether this is something I will enjoy beyond the first sip. This usually involves having to actively reminding myself it’s not worth it, and placing it back on the shelf. I guess where I differ is that I do end up collecting bottles. I choose to never purchase the same bottle twice because I’m constantly seeking out new and different expressions. And as we know, a great deal of these end up being limited release or single barrel bottlings, so I end up picking it up for a later time to really appreciate it (to avoid having dozens of bottles open at one time). But a danger of doing this is the evolution of one’s palate. If I currently enjoy cask strength or heavily sherried expressions and pick up those bottles, this may not be the case in a few years, so then I’m stuck with all of these bottles that I will no longer appreciate as much as I once would have. Despite this risk in collecting for personal enjoyment (versus investment), I’ve accepted the fact that I can’t stop, so I’ll just have to hope my palate won’t change too much. Thanks for the comments Tom. I hadn’t thought about the dilemma of evolving tastes, but that is a very good point. 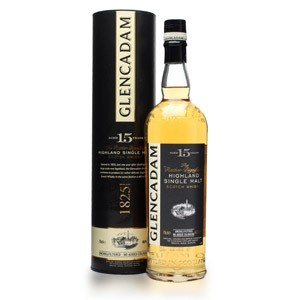 Today’s “best value whisky of all time” could easily be tomorrow’s plebeian swill. I also anticipate tiring my palate with too many heavily peated drams, which will mean extended periods of avoiding the stuff. A similar problem: K&L is carrying Talisker 18 again, which is an excellent dram and a fantastic value at around $80 a bottle. However, I very much enjoy Talisker 10 exactly as it is and therefore don’t really have “room” on my shelf for the 18… it’s still a struggle not to race down and pick up a bottle. Shelf space is a good limiter. I’ve also decided that my whiskey nights (whether Scotch or bourbon or something else) are Friday and Saturday, and I’d best leave off the rest of the week. I also tend toward Scotch in colder weather, bourbon in warmer, even though whiskey “professionals” insist that you can drink anything any time. As for having bottles open, though, all of my bottles are open. I just limit when I can drink them. I’m getting to the stage now where I have too much choice, so I can’t decide which one to drink! Thanks for visiting my site btw, and thanks for adding it to your list.